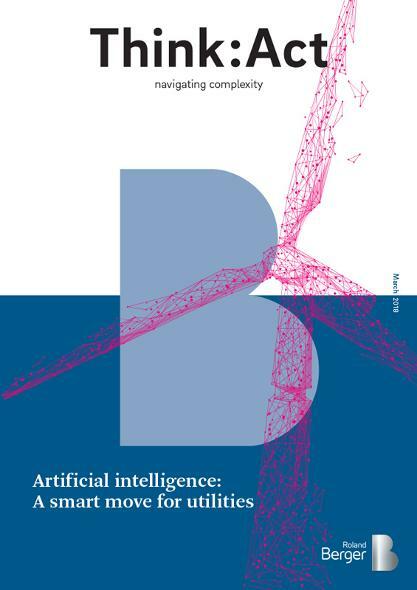 Only 23 percent of European utilities executives see artificial intelligence (AI) as a high strategic priority – this is just one of the outcomes of our study Artificial intelligence: A smart move for utilities. We found that while many executives understand the potential of AI, they are underprepared and unsure about how to apply it. 40 percent have neither an AI strategy nor defined targets. From a lack of data availability and risk-taking in the past, to a lack of strategic prioritization and capability building today, firms lack focus and direction. This follower approach could prove costly. To help tackle these stumbling blocks, we have developed a five-point, step-by-step framework for the adoption of AI. By 2030, the energy system will be almost unrecognizable. Operations will not only comprise single sectors such as gas or electricity, but also hybrids where electricity is used to produce gas and vice versa, increasing complexity and requiring new technologies and business models. AI will be a key enabler. The starting point of your AI journey should be to accept and embrace this change. Develop a clear vision of the new energy system and recognize AI's role in it. Leveraging its efficiency potential and later developing future value propositions based on the technology will be key to positioning your company. Begin by identifying business areas. Do you want to become a coordinator of gas/electricity coupling, or a provider of charging infrastructure? Or do you want to embark on innovator models, such as using electric vehicle data to manage city traffic? 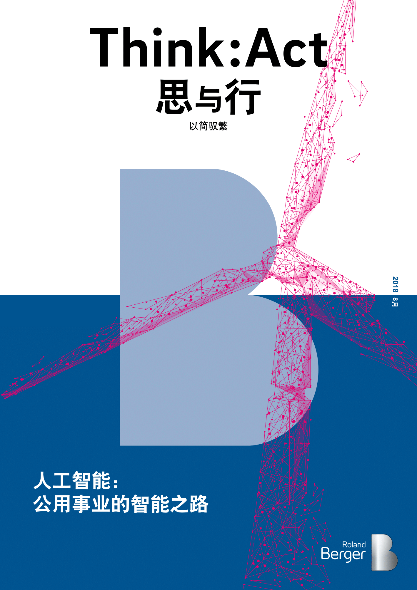 At this stage, it's not about specific business cases, rather a strategic framework. But it is about not falling behind, so act fast. 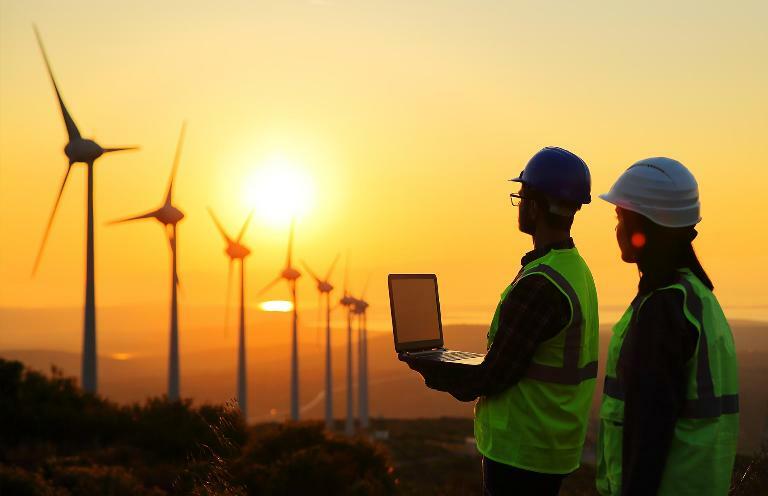 With the energy sector undergoing a period of rapid transformation, artificial intelligence offers new solutions to manage the change. Now, commit. Utilities need to accept that bold moves into AI are needed to gain an edge. Identify use cases and prioritize them based on three factors: Core or noncore business, complexity of implementation (is software available or does it need developing?) and efficiency gains (according to the short-term/long-term pathway). Next, start to build capabilities. At this stage, the minimum level of in-house skills include data science knowledge to prepare data sets and product implementation expertise. Remember, AI is just another technology so these can be taught or bought in at the beginning. But bear in mind that relying on existing skills in the longer-term will only enable you to tweak configurator models for efficiency gains, not develop new business models. Then think data. Approach the subject with a sound strategy: data availability and accessibility should be carefully considered when deciding where to build AI into systems. Relevant data pools should also now be secured. This may mean strategically investing in data collection from assets that are not primary AI targets. Bear in mind, AI may become a forcing function of your data strategy. Small, quick-win AI projects are a good way to learn about the technology "on the job", while also laying the foundations for longer-term models. First, consider simple, narrow use cases such as automating the sorting of incoming mail, then, with experience under your belt, move on to more ambitious targets. Retail or back-office functions such as customer service bots and automated IT helpline ticketing are good options, as is autonomous trading. All have the added bonus of making you more competitive. In all cases, use ready-made, off-the-shelf AI solutions to quickly deliver results, and move fast to secure a head start over rivals. Celebrate first successes to build momentum and confidence. But while doing this, don't lose sight of bigger strategic goals: Follow a clear technology and product strategy to avoid building a mishmash of incompatible software programs across different business areas of your company. And avoid "proof-of-conceptionism" at all costs. "While utilities understand the potential of AI, they are content to take a follower approach. This lack of innovation could prove costly. " After success with quick wins, the aim is to build resources for the development of longer-term, more innovative and holistic AI models. Capability building should center on people. This is where AI expertise does matter: AI is software after all and cannot be fully exploited without capable operators. Training or finding people with the skills to develop in-house algorithms, a key source of competitive edge, will be especially important if you want your company to move from being a configurator to an innovator. Change management, strong communications and training will be needed to support the shift to more developed AI approaches. To underscore their importance, think back to the 1990s and the introduction of brand new SAP systems, which often remained underused for years because of poor holistic support. Also, by now your data operations should be running smoothly, so it might be time to consider using or developing cutting-edge technologies such as evolutionary AI, which thrive on small data. With successful AI projects under your belt and key people and infrastructure in place, it's time to scale up. Whole network effects are a crucial success factor for AI: solutions without scale will not be competitive over time, so act fast. It's likely that by now you're on top of small and large AI projects in your chosen focus areas. So now work on rolling out AI in non-core areas. Follow the tried-and-tested method, using coordinated quick-win projects to get the ball rolling. Find new use cases, tap new data pools and leverage previous experience to develop more complex models. Then scale them and repeat again to begin a virtuous circle of continuously improving skills, efficiency and innovation. Ultimately, this means letting AI take control of entire operations, whether they be existing configurator models such as central power generation, or new innovator models such as management of decentralized smart grids. Quality data is the key to both, with judicious use of the right data meaning better training and accuracy and therefore better products. This will help to maintain your competitive edge and effectively exclude rivals from market entry, as Google has done with its search engine. For utilities, the good old days are drawing to a close. The industry is shifting from a regulation-driven, reliable, low-risk environment to a technology-driven, uncertain and more sophisticated marketplace. This will necessitate change, as well as new technologies and business models. Failure to recognize this could threaten companies' survival. Our survey and analysis make clear that AI can play a key part in navigating and managing this new energy system. Indeed, it will likely be a key enabler of it. Yet because of fear of risk and the unknown, firms seem hesitant to introduce this already available resource. We believe this is a mistake. As such, our recommendations demonstrate how utilities can relatively easily seize the opportunities that AI holds and stay ahead of the AI curve. Only 23 percent of European utilities executives see artificial intelligence as a high strategic priority – this is just one of the outcomes of our study Artificial intelligence: A smart move for utilities.